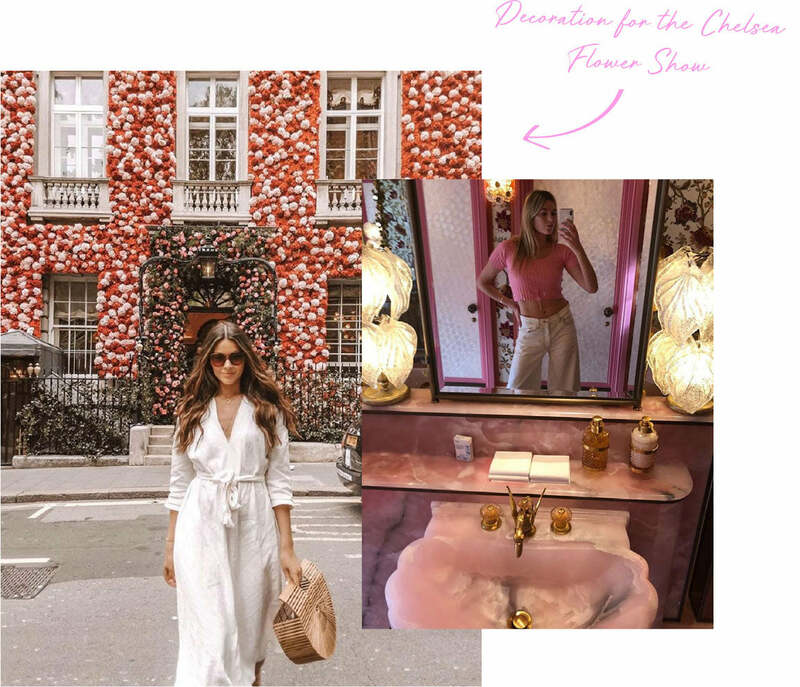 It’s undeniable that Millenial Pink has been having a moment for a while now; but as the recently rennovated Annabel’s proves, it’s here to stay! 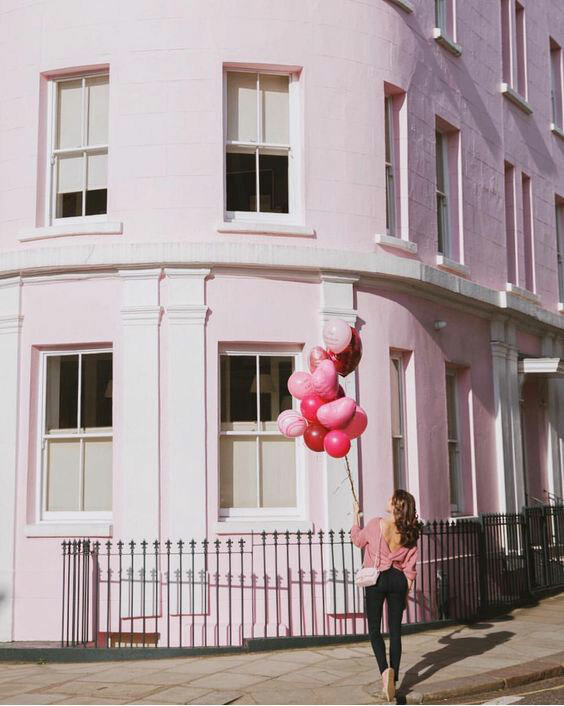 We have done some major influencer stalking to round up their favourite pink spots around London for you. 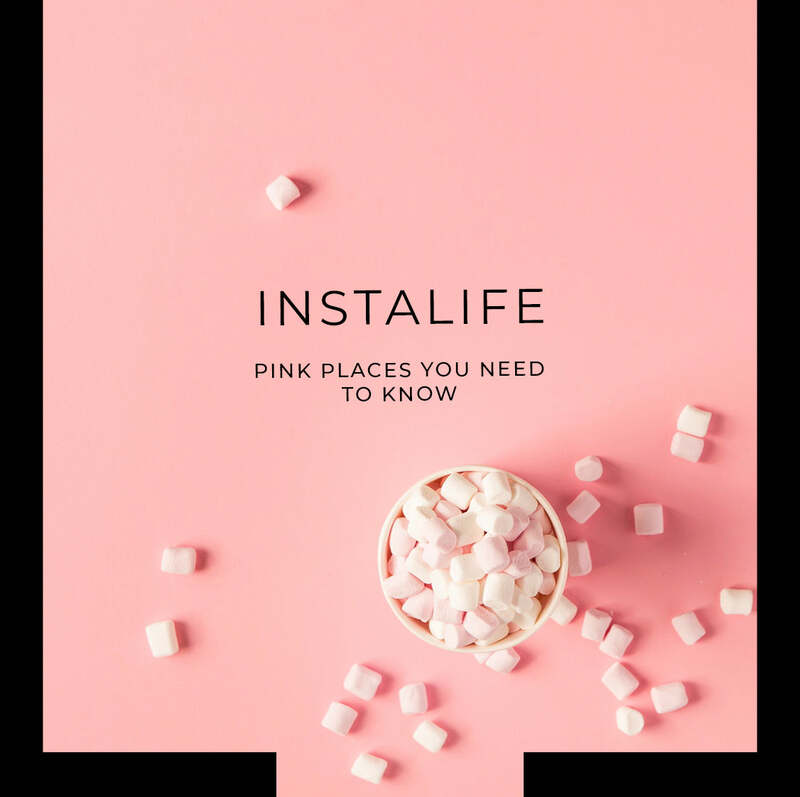 From the best cafes to the coolest streets, here are the most photogenic pink places you need to visit to up your Instagram game. Elan has been giving us serious Instagram goals every since they first opened. 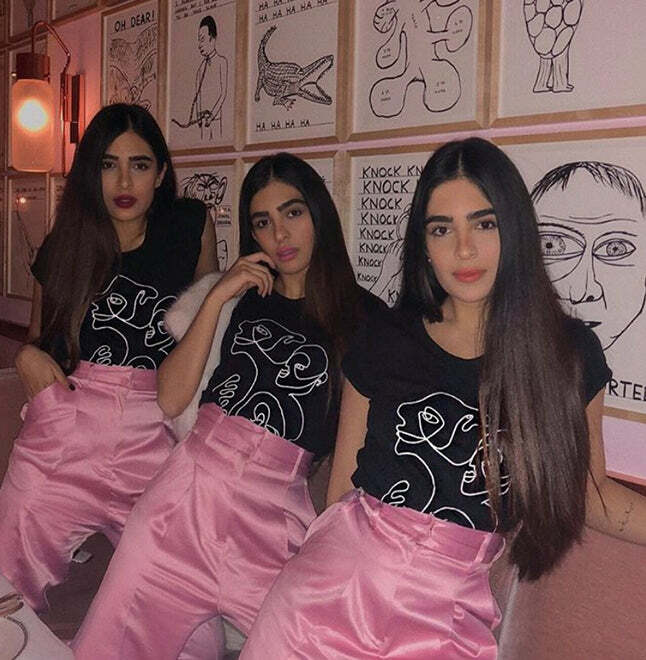 Their pink flower wall has, not surprisingly, become a frequent backdrop to many influencer photos. 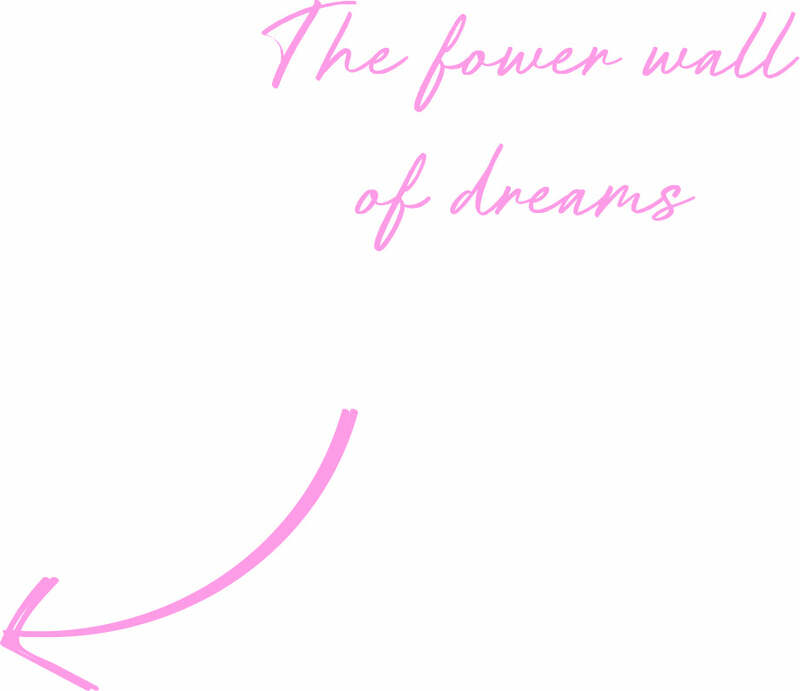 Read more about why you need to visit Elan. 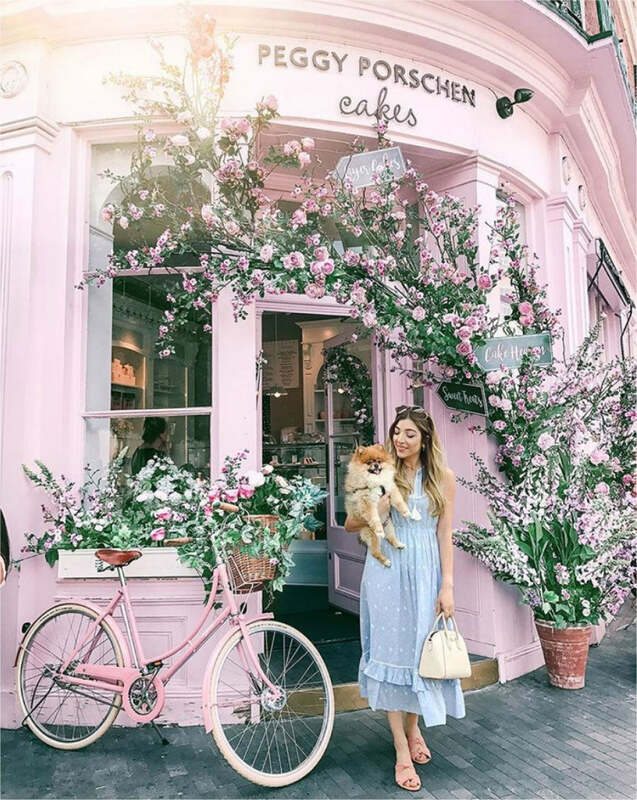 Influencers can’t get enough of Peggy Porschen and it’s no surprise why. 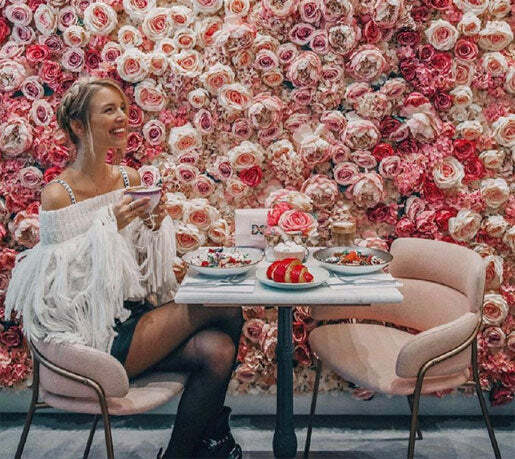 From the pastel pink decor to the stenciled coffees, glittery cupcakes and elaborate floral arch, this cafe is extremely photogenic. 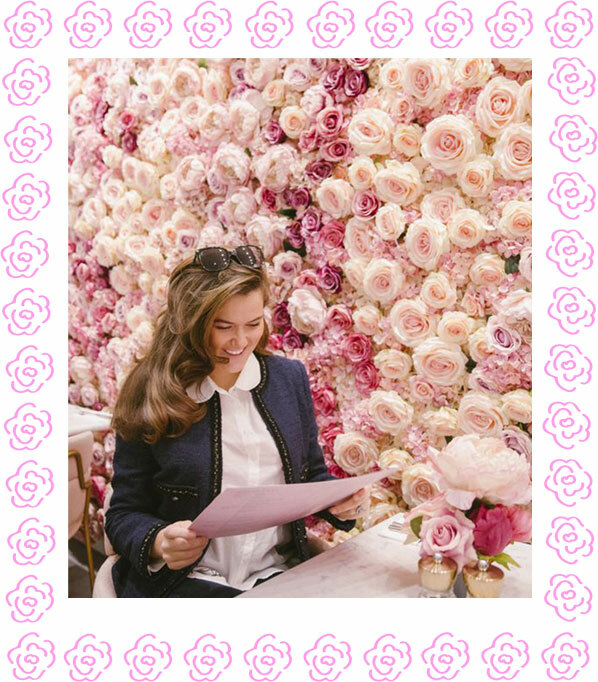 See our review for Peggy Porschen. 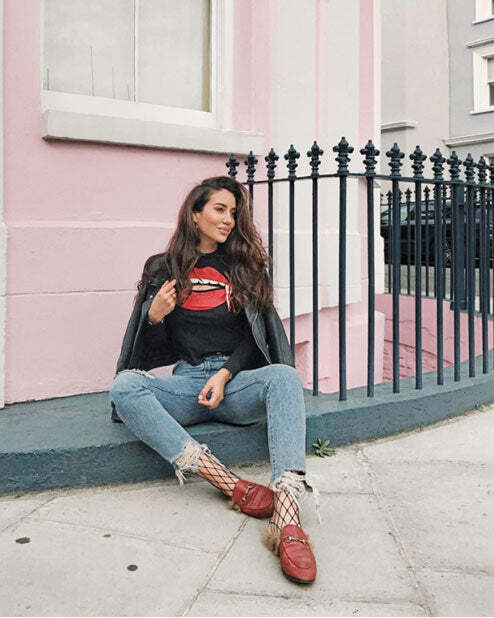 Notting Hill is the go-to neighbourhood for colourful street style shots. Hillgate Place in particular is a popular location with influencers. 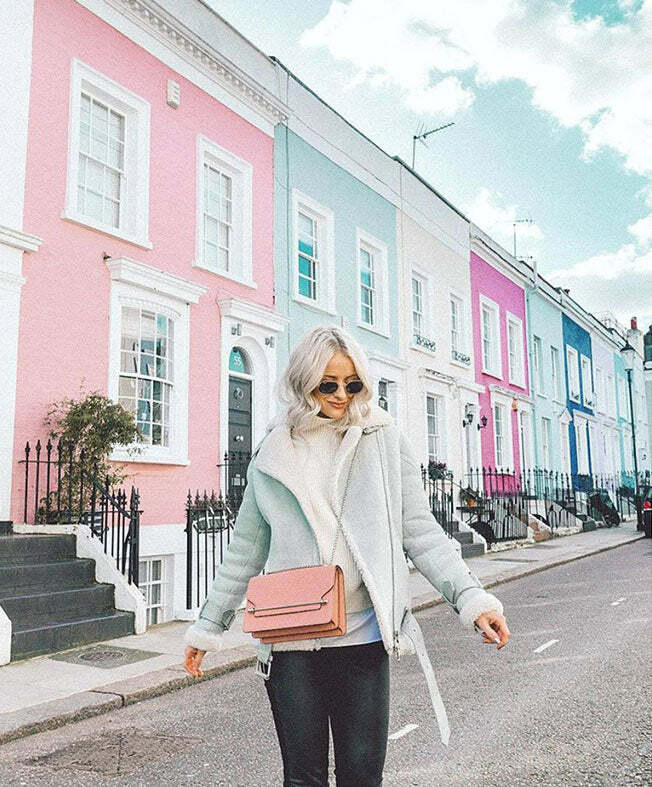 The entire street is striped with different shades of pink, blue and white houses making it a great backdrop. There are few pinker places in London than The Gallery at Sketch. Probably one of the most photographed restaurants in London, this pink on pink heaven will provide you with enough Instagram fodder for weeks. If you need any more convincing on why to visit check out what our influencers have to say about Sketch. Arguably the prettiest of all the London bridges! If you’re prepared to pose in front of the passing traffic, the pastel bridge makes for a unique photograph location. Another great backdrop in Notting Hill. There’s something endlessly satisfying about this corner sugar pink house. 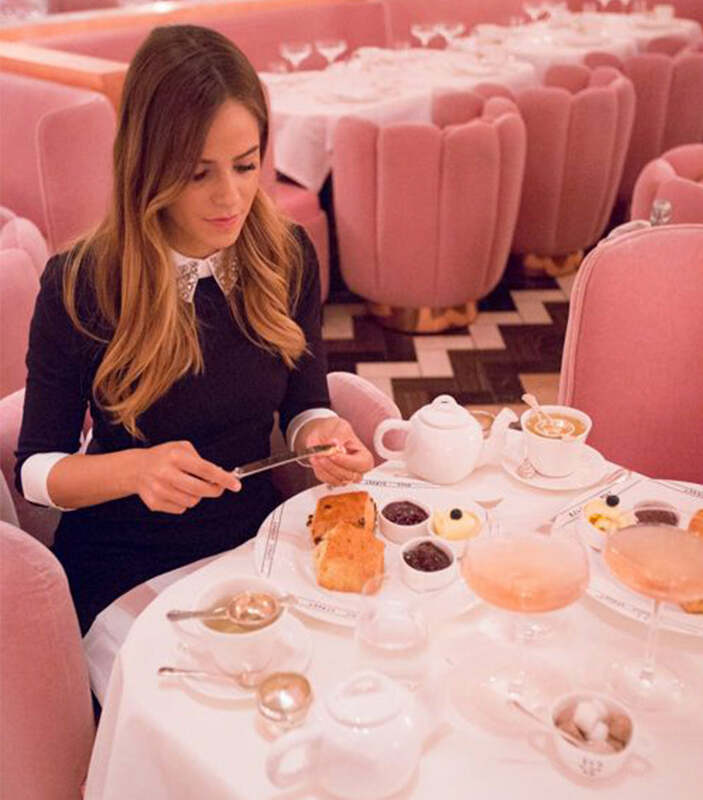 The member’s club in Mayfair has recently had a very pink rennovation. 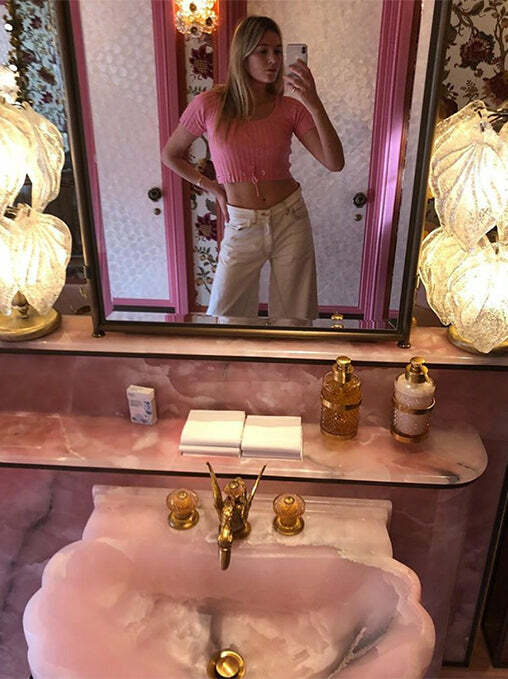 Highlights include the pink bar and the ladies toilet, where the ceiling is completely covered in flowers and beautiful ornate pink onyx sinks. 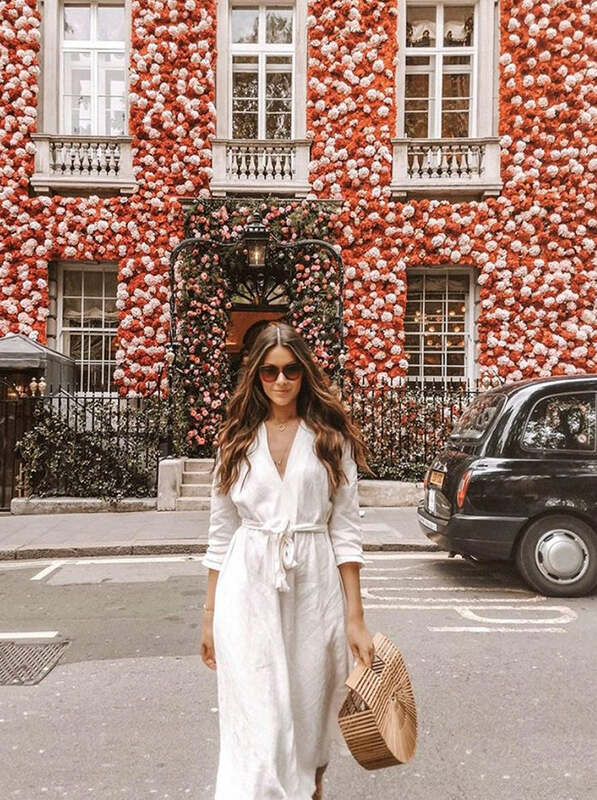 The Knightsbridge townhouse has become an insta-famous location for photos. 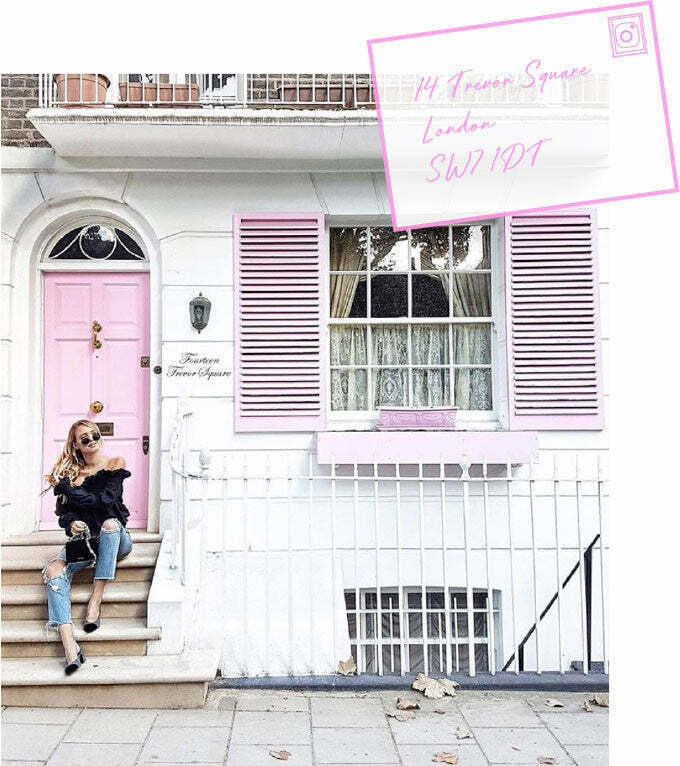 The pink shutters give it such a summery vibe.